I ordered in the online EVO Store, when can I expect my order to ship? All orders are shipping now! Standard shipping generally takes 3-5 business days. Can I pay using PayPal/other non-credit card option? Yes! If you would like to pay via PayPal, please shop our online EVO Store here. How do I order the EVO Planner as a gift? You can buy a digital gift card here. Please fill out an order request form above, and one of our team members will be in touch with your directly to help you complete your order. Are EVO Planners available for sale on Amazon Prime? I placed an order for an EVO product on Amazon.com, who do I contact for help with shipping? Amazon handles all our shipping for orders placed on Amazon.com. You can contact their customer support team here for order assistance. However, if you still need help, you can reach out to us at hello@projectevo.org and we’ll get you taken care of. I'm located outside of the US, can I order EVO on Amazon? Is the EVO Subscription Membership Available on Amazon? No, currently the EVO Subscription Membership is only available in the EVO Online Store. I placed an order on Kickstarter between January 2nd and February 8th, 2018, but I still haven’t received my order. What gives? Please make sure that you’ve filled out your Backer Survey (sign in here) and log in with the email address you used to pledge with. If you’ve already filled out your survey and still haven’t received your order, or you need help with your survey, please email EVO customer support at hello@projectevo.org. What is the Backer Survey? The Backer Survey is the survey you receive after you order your EVO Flow System on either Kickstarter or IndieGoGo. This survey is how we collect your Brain Type and shipping information, as well as the place where you have the opportunity to order an add-on items. If you place an order or pledge/back one of our campaigns but you don’t fill out this survey, we are not able to send your order to you because we don’t have your address! So please make sure to fill out your survey in a timely manner so your order is not delayed. The Backer Survey is not to be confused with the Brain Type Assessment (BTA), which helps you determine which Brain Type you are and which EVO Style you should get. Please note that even if you have taken the BTA, you will still need to complete the Backer Survey. I placed an order on Indiegogo between February 8th and December 31, 2018, how will you know where to ship my order and what Brain Type style planner to send me? You’ll need to fill out your Backer’s Survey after completing the Brain Type Assessment. This survey will take approximately 2 weeks to arrive in your email inbox after you submit your pledge. After you place your order on Indiegogo, they hold your order for approximately 12 days before they send your information to our survey host, Backerkit. Once Indiegogo releases your info, you will receive an email with a link to your survey. If you do not fill out your survey, we can’t ship your order because we won’t have your address or know what Brain Type style you need your planner to be. Please make sure to fill out your survey in a timely manner to avoid delaying your order! I ordered on IndieGoGo and I don’t see my survey. If you pledged on IndieGoGo, you should have already received your Backer Survey via email. If you can’t find your survey, try searching your email inbox with the phrases “Project EVO” or “BackerKit” (BackerKit is the survey host), and be sure to look in your spam/junk folders. If you still can’t locate your survey, please email us at hello@projectevo.org so we can re-send it. Yes! We have a 30 Day Money-Back Guarantee. If you’re not satisfied with your EVO planner for any reason during the first 30 days*, just submit your claim, send it back**, and we’ll happily process your refund! Claims can be sent to hello@projectevo.org. Please see the Refunds/Returns tab below for more information about shipping fee responsibility. *30 days from the day you receive your order. **Shipping and/or restocking fees may apply. REFUNDS: You’re able to return* any EVO item for any reason for a full refund of the item cost for the first 30 days after you receive EVO in the mail. Please submit a claim to initiate the return process by emailing us at hello@projectevo.org. If 30 Days have passed, we can only accept returned* items that have been unopened and are able to be restocked. SHIPPING COSTS FOR RETURNED ITEMS: If you would like to return your EVO product for any reason other than damaged or incorrect merchandise**, you will be responsible for any and all costs associated with shipping. *Shipping and/or restocking fees will apply. **EVO may assume payment responsibility for return shipping for damaged or incorrect merchandise received by consumer. We’re hoping to expand our own shipping reach very soon. Check back in Summer 2019! Online EVO Store orders: Shipping usually takes 3-5 business days for domestic US orders. Once we receive your order, you will receive a confirmation email letting you know we are processing your order. What's the difference between the four different styles of EVO Planners? There are four different styles of EVO Planners, customized for each Brain Type. 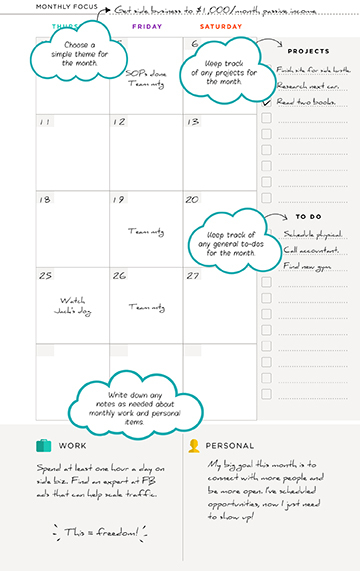 In each planner, there are three main sections: Daily, Weekly, and Monthly. The Weekly and Monthly pages are currently the same across all four planners for each Brain Type, although that could change in the future. 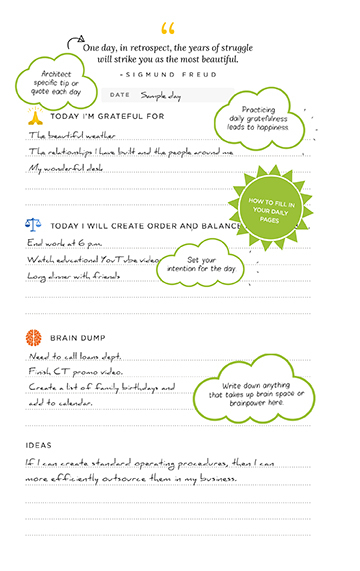 The Daily Pages of each planner have been tailored to how each Brain Type operates. There are different tips and quotes for each Brain Type on the daily pages to help that Brain Type grow and evolve, different prompts to help each Brain Type thrive on a daily basis, and different ways of setting up the plan for the day based on our research of what each Brain Type finds most effective. How much time does the EVO Planner cover? Is it a yearly planner? 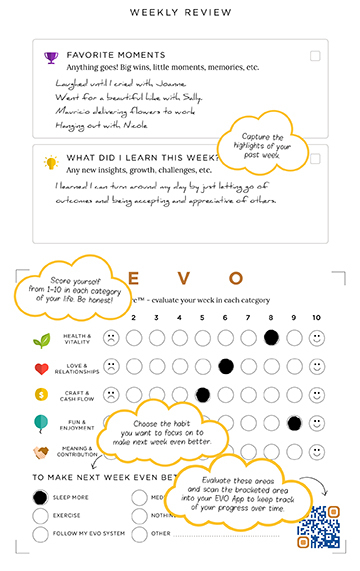 *the first version of EVO included with 3 Monthly spreads, 12 Weekly spreads, and 90 Daily spreads. (We’re constantly EVOlving and improving our system with the help of feedback from our users!). One EVO can cover approximately 3 months if you use it every single day. If you’re interested in a yearly option, we recommend the EVO Membership subscription! Once subscribed, you will earn one credit per month, and will be able to re-order one EVO Planner for every three credits earned! This will allow you to receive 4 Quarterly EVO Planners per year at the best rate available! 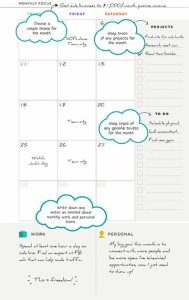 Can I request that my planner start at a specific date? What date does the planner start on? There are ZERO dates printed in the planners. 😉 You can begin using it the same day it arrives! Is there a digital version of the planner? For those who order during our Kickstarter and IndieGoGo Campaigns, we are providing a modified Daily spread for each type that you are welcome to print out as many times as you like! You can access these pages here! You can also follow along with the daily planning audio guides provided in the EVO App to help you plan any time, anywhere! 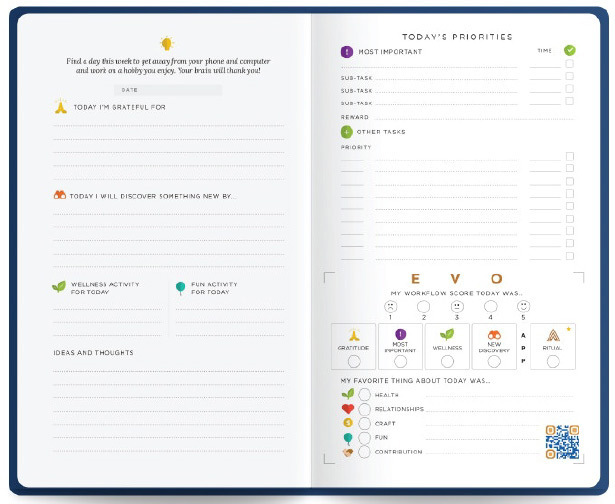 Is there a printable version of the planner I can use before my physical copy arrives in the mail? Yes! For those who order during our Kickstarter and IndieGoGo campaigns, we are providing a modified Daily spread for each type that you are welcome to print out as many times as you like! Click here to download! Where Can I download the EVO App? The iOS App is available for download in the App Store. Click here to download it! The Android version of the app is also available for download in the Google Play store! Click here to download it! Will the companion EVO App be available for Windows or other non-iOS/non-Android phones? Currently, we are only focused on iOS and Android markets. Are there different versions of the App for each Brain Type? There is only one app to download, and many core features of the app will be the same for everyone. However, your account within the app will show you specific nuances based on your Brain Type and will have various Brain Type specific features that will continue to grow as the app evolves. The app is meant to work in unison with the EVO Planner. It makes the planner experience better and vice versa. 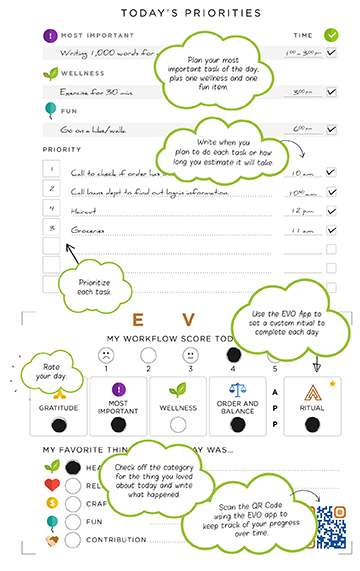 When you scan the EVO Score section of your EVO Planner (on the weekly and daily pages), the app will keep track of the data you put into the planner and then show you data that will help you evolve. This includes what days are your most/least productive, trends in workflow, and much more. Like yourself, this app will evolve. It’s main purpose is to make your journey in evolution much easier. We will continue to listen to your requests and feedback and make regular updates to improve the app. 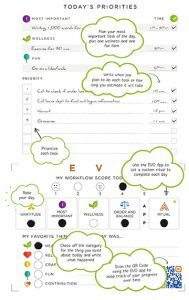 The app is free, and this free version contains everything you need to be successful within the EVO System. We will also be adding some premium tools that you can pay a monthly subscription fee to access if you would like to enhance your EVO experience. You can download the iOS version of the app by clicking here! How can I change my Brain Type in the App? 2. On the main EVO Tab, click the settings icon in the upper right corner. What are EVO Go Notecards? EVO Go Notecards are “pocket-sized” versions of the daily pages of the EVO Planner. They come in the same four Brain Type styles as the EVO Planner: Alchemist, Architect, Explorer, and Oracle. You can order the EVO Go Notecards here. Due to popular demand, we created printable versions of the daily pages for each Brain Type for customers to use while they wait for their order to arrive. If you backed us on Kickstarter or IndieGoGo, you can download the pages by confirming your order here. What is the EVO Accountability Coaching Program? This is an individualized coaching program for our high performers to guarantee success. Your coach will taylor your coaching to fit your needs. 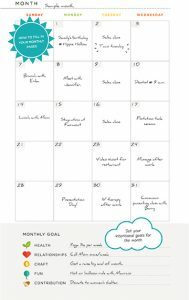 First, you’ll meet with your virtual coach for a FREE 30 minute planning and introduction session. 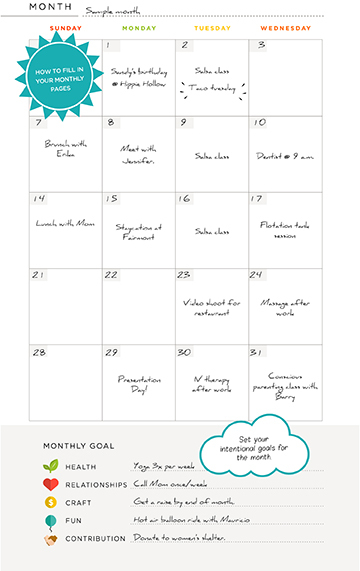 After that initial session, you’ll connect for 15 minutes each week to see how you’ve progressed, how you can overcome any roadblocks, and set up strategies to make the next week even better. You can enroll in the program here. Where can I sign up for coaching? Is this Brain Type Coaching? While your coach will understand how your Brain Type affects your best work strategies, progress, and roadblocks, the core focus of this program is to keep you accountable to your personal path of evolution. If you’re looking for more in-depth insight on you Brain Type, we do offer Individual Brain Type Deep Dive Sessions. Can I get a private Brain Type session with someone? Yes! You can sign up for a one-on-one Advanced Brain Type Deep Dive with the creator of the Brain Type Assessment, Beckett Hanan, here! What if my Brain Type result doesn’t fit me? Although we’ve found that our Brain Type Assessment is accurate for the majority of people, it is a tool that helps increase self-awareness, rather than a scientific measurement. As a result, there will always be a few people that don’t get the right Brain Type result on the first try. This could happen because you took the test on an off day, or while you were distracted. At the end of the BTA, if your result doesn’t seem to fit you, we have a link you can follow to go through a process that will help you figure out what the best fit is. You can also access that here at any time. Will my Brain Type ever change? What if I got a different result the second time I took the BTA? Although your BTA result could change if you take the assessment over and over and base your answers on how you feel in a given moment, this is not indicative of a true preference switch. Brain Type only represents one small part of who you are, and although humans are dynamic and will undoubtedly grow and change, Brain Type is a preference akin to being left or right handed. It’s unlikely that your Brain Type preference will ever actually change, although as you get older, you might use your Secondary Brain Type more regularly, in conjunction with your Primary Brain Type. Why can’t I be an Alchemist/Oracle or an Explorer/Architect or Alchemist/Explorer or Oracle/Architect? First off, please remember that 1. We all use a little bit of each Brain Type process to some degree, and 2. Brain Type does not even begin to describe every single aspect of people. The processes we refer to are only a small piece of what makes you who you are– a unique individual with your own talents, experiences, insights, and gifts. 1) As humans, we are all able to process information in our minds, and deal with information in the world around us. 2) We all have the capacity to have ideas and understanding of abstract thought, as well as the capacity for understanding concrete, practical information. The Primary and Secondary Brain Type describe this holistic balance of our preferences. A person can’t function as an Oracle with a secondary Alchemist (for example) because we all need to have some degree of balance between the abstract and the concrete. On the flip side, you can’t be 100% concrete (Architect + Explorer), because no human exists solely in their 5-senses concrete experiences— that would be like some sort of robot who isn’t able to handle even the simplest abstract thought or idea (for example, reading this page would be impossible!). In addition, everyone deals with processing information out in the world (we are all able to communicate and affect change on other people and the world around us in a variety of ways), as well as processing information internally (we’re all capable of thought and reflection in our own minds). This means we must have some preference for dealing with information externally and internally. As you can see, Primary and Secondary Brain Types explain this balance. Some of us use our Primary and Secondary Brain Types fairly often (you could say with a 60%/40% kind of split), while others mostly focus on their Primary almost exclusively (more like 80%/20%). When you take all of these factors into account, hopefully you’ll find that understanding the relationship between Primary and Secondary Brain Types is relatively easy. Where can I learn more about the Brain Types? You can check out our blog here! We’re continually adding new information about Brain Type Theory and how it relates to your growth and EVOlution! Is Brain Type based on another personality system (MBTI/Enneagram/DISC/Big 5/Etc.)? No, EVO Type and Brain Type aren’t based on any other assessment or system. EVO Type started with a deep understanding of the patterns of human processing Swiss psychologist Carl Gustav Jung observed in his work. This is the main foundation of our Brain Type framework. Beckett Hanan (the creator of the Brain Type Assessment) and the rest of our team have spent years researching, testing, and applying Jung’s theories through coaching and interviewing thousands of people. This includes over 20 distinct variations of our assessment, hundreds of hours of 1-on-1 work, and over 100,000 test takers! From this, we have created our unique language for describing how people’s brains work. Although a couple of other assessments use Jung’s work for their theories, the foundation of how we approach Jung’s work and how we have evolved it into this dynamic system is unique to Brain Type Theory. Can I be more than one Brain Type? Technically, everyone uses some element of all four Brain Types. 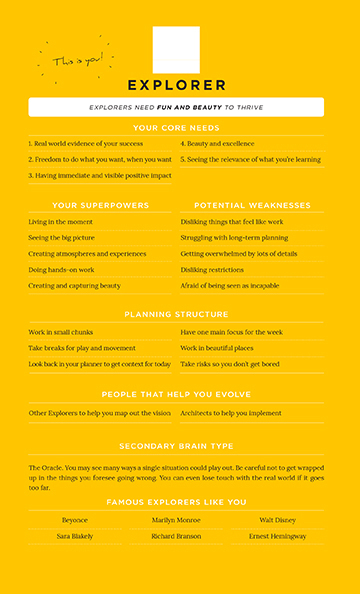 But since Brain Type focuses on the one we prefer to use most of the time, we generally focus on your Primary Brain Type, and to a lesser degree, your Secondary Brain Type. Think about the fact most people use both hands to type, and probably most fingers (on a keyboard at least). But when you go to grab a pen to sign your name, you probably prefer to use one hand and a certain arrangement of fingers that makes it comfortable for you to hold that pen. Why? It’s not because you never use the other hand, it’s just that you have come to prefer a certain hand. Brain Type exists to help you figure out your Primary Brain Type preference. Some people have stronger preferences, and some are more in the middle and switch back and forth between their Primary and Secondary Brain Types more often (just like someone are more ambidextrous than others). But in our experience, everyone has a consistent preference. Can someone help me figure out what Brain Type I am? Yes, you can sign up for an individual session here! Do you have any information about general Brain Type Theory? Yes! We offer 60 minute Individual Brain Typing Sessions with our Executive Brain Type Visionary, and creator of the Brain Type Assessment, Beckett (Beck) Hanan. Discover the deeper nuances of your Brain Type. Who are you really? Why do you do what you do? And how you can apply this to your life to get results. Uncover all this and more in your 60 minute personalized session. You can sign up for your session here. How does the EVO Membership monthly subscription work? 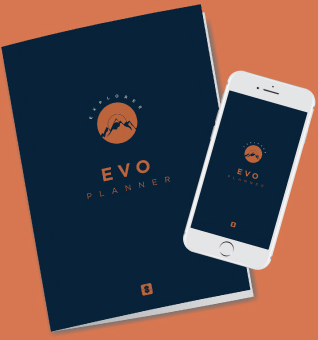 By becoming an EVO Member, you will save $5 on your first EVO Planner, and then it’s just $9.99/month to earn credits for future EVO Planners. 3 Credits = 1 EVO Planner, which means each quarterly planner is only $30! When you sign up, you’ll receive an email welcoming you to the EVO Membership area and inviting you to finish setting up your EVO Membership Account. Once your account is set up, you’ll be able to see any credits you’ve earned, and request the shipment of your next EVO once you have enough credits saved up. Starting January 31, 2018 EVO Membership Subscribers will also gain access to all premium EVO App content automatically when using the app account connected to their membership account! If you’re an EVO Member, keep an eye on your email inbox for more details. How can I reset the password on my EVO Membership Account? I still need help with my EVO Membership account, who can assist me? Please email our customer support team at hello@projectevo.org for assistance. What is the basic Brain Type Assessment (BTA)? The BTA is our FREE 2 minute assessment that helps you determine what Brain Type you are. This assessment is a great tool to understand more about how you see the world and process information. 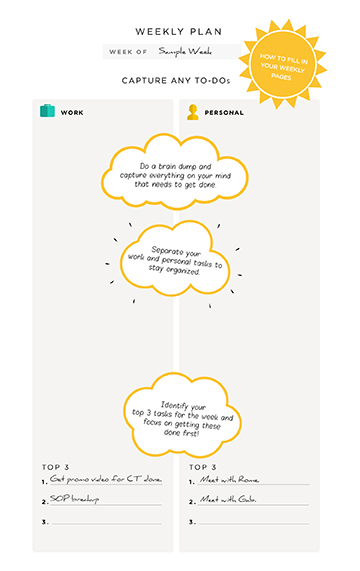 The BTA is also a quick way to help you determine which style EVO Planner suits you best. You can take the Brain Type Assessment here! What is the Learning & Communication Style Assessment (L&CSA)? This assessment is completely different from any of our other assessments! The L&CSA is a practical tool to help you understand how to prefer to receive communication (learning), and communicate with others. By knowing your learning and communication styles, as well as the styles of those around you, you can begin to communicate, teach, and learn more effectively in every aspect of your life. This assessment is currently (as of December 2018) in private beta and will be made available for purchase in 2019. If you are part of this beta (Annual Kickstarter and Indiegogo backers), you will access the L&CSA via your EVO Membership Account. What is the EVO Assessment (EVOA)? This assessment is the granddaddy of all assessments! It moves above and beyond the basic BTA, to help you understand yourself on a deeper level than ever before. 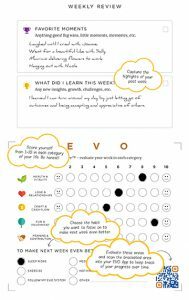 You will discover more about your Brain Type, as well as unlock your Compass, and your Crafts, and learn how all these elements work together to make up your EVO Type. You will also learn how to apply this new knowledge to level-up and become the best version of yourself. This assessment is currently (as of February 2019) in development and is scheduled to be made available for purchase in early 2019. Sign up to receive updates on the EVOA here! What is EVO planning for the future? Sign up here to receive more information about our EVO Enterprise Program For Teams as it becomes available. Sign up here to receive more information about our EVO Assessment as it becomes available. Sign up here to receive more information about our Brain Type Academy as it becomes available.